Thank you for your interest in the Council on Tall Buildings and Urban Habitat 2017 International Conference! We have compiled the resources below to serve as a “one-stop-shop” for sponsors, reporters, and publicists to find the information they need about the Conference quickly. As always, if you don’t find what you’re looking for here, we’d be happy to answer your questions. Visit our Contact Us page for additional inquiries. The theme of the 2017 Conference was “Connecting the City: People, Density & Infrastructure.” The age of the tall building as a single iconic piece of sculpture, standing in isolation from its surroundings, must now come to an end. We have a responsibility to ensure that these permanent urban structures engender a future-oriented urban response to the greatest challenges of our time: unprecedented population growth; mass urbanization; climate change; environmental degradation; social, political, and economic change; and the rapid advance of myriad technical innovations. The future of humanity on this planet relies on the collective benefits of urban density; reducing both land consumption and the energy needed to construct and operate the horizontally dispersed city. Tall buildings must now be the vehicles for creating increased density, not just through sheer height, but by connecting multiple layers of the city. Physical urban infrastructure, circulation, greenery, and urban functions traditionally restricted to the ground level would all, ideally, continue up and into the building, such that the buildings themselves become an extension of the city – a part of the two-dimensional horizontal urban plane flipped vertical. 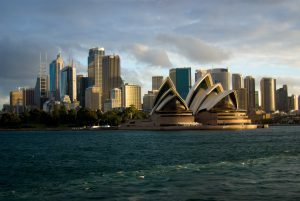 Sydney, Melbourne, and Brisbane – and, as a matter of fact, all Australian cities – are in the process of transforming through the combined power of infrastructure and density. 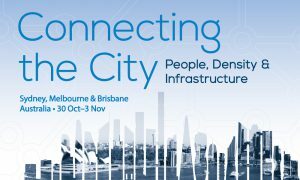 Australia is therefore the ideal location to explore the themes of People, Density, and Infrastructure at the CTBUH Connecting Cities Conference. With the above themes in mind, the Conference inquired far beyond the tall building as an icon, to debate a new set of guidelines and responsibilities toward skyscrapers becoming “connectors” in the city. The discussion embraced every discipline, from urban planning to cost consulting, architectural design to vertical transportation, real estate development to curtain wall design. Delegates engaged with the Conference for two, three, or all five days. 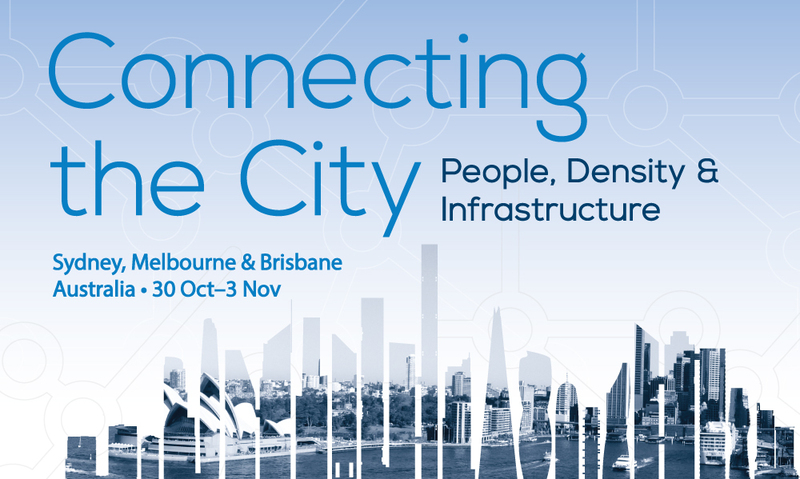 Numerous CTBUH committee and leader meetings – as well as on-site registration and selected parts of the exhibition – occured pre-Conference on Sunday, October 29. The core Conference of speakers and 20|20 Panel Discussions, program rooms, regular panel discussions, social networking events, and exhibitions occured on days one and two. Day three saw a day of “off-site programs” across numerous tall building and urban venues in Sydney. The fourth and fifth day of the Conference comprised regional programming in Melbourne and Brisbane. There, three half-day segments focused on unique themes, encompassing expansive tours, site visits, and technical demonstrations. The CTBUH was thrilled to host our 2017 Conference in Australia. There was no better place for this discussion than Sydney – a city with a 230-year history in urban development that finds itself at the nexus of much of the current debate about cities: density vs. suburbanization; modernity vs. historical preservation; infrastructure vs. urban life; the high- vs. low-rise realms. Through developments such as Barangaroo, Central Park, Sydney Metro, and Parramatta Square, the city is largely reinventing itself. This is symptomatic of what is happening in several global cities around the world such as New York or London, which are seen as “safe harbors” for significant real estate investment, coming from a multitude of external, as well as internal, sources – most notably Asia. 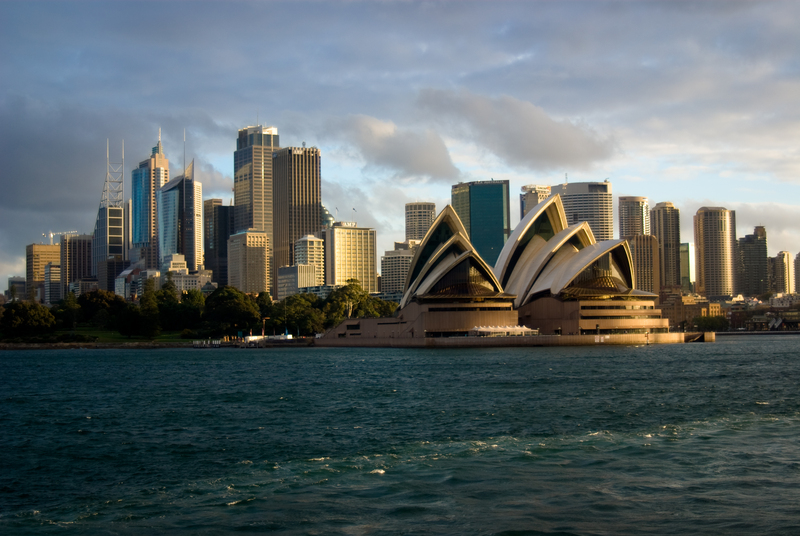 With its breathtaking combination of harbor, skyline, and opera house as a backdrop, and the famous Antipodean welcoming charm of its people, there was no better place for this debate at this specific time than Sydney. But of course, no CTBUH Conference in Australia would be complete without considering Melbourne or Brisbane, the country’s other premier urban laboratories. Read the Co-Chairs’ Message below to learn more! Read the Co-Chairs’ Message: Why Australia? We are very excited about the Conference program that we have assembled for this event, featuring over 200 distinguished speakers from an array of disciplines across the industry, including major developers around the world. Delegates from every corner of the international tall building industry, academic, and other leading professionals attended this Conference. Learn more about the sponsors, who provided invaluable support and helped to make the Conference great! The Sydney segment of the Conference was held at the Hyatt Regency, located next to Darling Harbour in the city’s central business district, from pre-Conference day on October 29 to the core programming from October 30 to 31, with the option of staying an additional day (November 1) for off-site programs. Delegates had the opportunity to experience Melbourne or Brisbane on November 2 and 3, where they engaged in rich 1.5-day programs that explore the country’s foremost developments, infrastructure hubs, and cultural sites. These regional city programs incorporated three half-day segments that focus on unique themes, each progressing from a presentation format to expansive tours, site visits, and technical demonstrations. The programs were led by CTBUH experts and took place at prominent venues in each locale. The Conference then came to a close on November 3. Off-site programs took place in each of the three Conference cities, consisting of presentations by project team members and tours of completed and under-construction buildings, as well as of the greater urban contexts for these buildings. These were special opportunities for delegates to learn from professionals involved in the design, construction, and/or management of various notable buildings through discussions and physical tours of sites. CTBUH has conducted many successful Conferences throughout its history, beginning with the first in 1971, held in Tokyo. Since then, CTBUH Conferences have grown ever-larger and more frequent, as our international membership continues to grow. Learn more about some of the past CTBUH Conferences. The following photos are available as high-resolution downloads. Additional photos are available upon request. Visit our Contact Us page for inquiries.